Dr Nirdosh Celebrity Cosmetic Doctor and worldwide renown doctor of anti ageing in Harley Street fights against ageing with sought after non surgical techniques implementing a combination of botox injectables and juvederm voluma filler. She's the frontline of London's surgical lift. 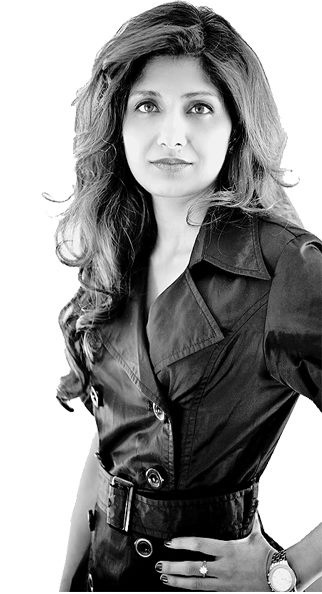 Dr NIRDOSH nestles through the hype of her celebrity clients by providing savvy women in the know with cutting edge face lifts at her leading harley street clinic. She supplies the demand. She restores facial volume and provides private clients with cheek augmentation dermal fillers that recapture youth, it's what they desire. A quest for youth and beauty is personal to each client. Women do seek the leading doctor in cosmetic surgery as they still seek answers such as botox prices how much is botox and what is the true cost? Dr Nirdosh remains the sought after proposition as she likewise endorses this mindset. ‘They trust me for sheer elegance and as their doctor and I provide. I work with the clients current beauty and gently tweak imperfections to simply push 'your personal boundary that little bit further'. This may require using specific dermal fillers for the lower cheeks area or injecting right around the mouth for slight enhancement using juvederm lips It's any wonder there’s a waiting list of well heeled women longing to have their faces corrected by London's best botox and dermal fillers doctor as she injects directly with Voluma, a product often used but never mastered. Find out why Voluma is an essential procedure for all women. Dr Nirdosh is the difference between a practitioner and the UK's best doctor on Harley Street. Implementing hyaluronic acid fillers specifically created to provide maximum effectiveness, targeting volume loss and having a doctor of high credence ensuring you don't look like you have had too many procedures, is a given with Dr Nirdosh patients. Her incredibly natural non-surgical soft face lift that allows women to ignore plastic surgery as an optionis sought after and patients rely on it instead of plastic surgery. Subtlety is key. To restore facial contours she liases with clients direct. She applies her leading procedures and top products as standard protocol. Dr Nirdosh is the reason why Juvederm Voluma has become an in-demand treatment at her London Celebrity Surgery Clinic. As Dr Nirdosh states ' you fall in love with yourself again! when you come to me. I want this and so do the clients. Many fillers differ but for volumising loss and filling sunken hollow skin cheeks that have degenerated during ageing, Voluma is a very good dermal filler for this job. Dr NIRDOSH understands women's anatomy and desires better. She attends daily to high profile A-list women with demands of pristine cheekbones and cosmetic injections fit for a royal. Everyone also wants this. She gives women what they truly want but are too afraid to ask. Her clients depend on her natural ability to provide the want. Small intricate areas of sag on the face including jowls are restored via her leading facial surgical rejuvenation techniques as she evaporates using botox and cosmetic fillers to rebuild the structure framework of underlying skin so you regain the natural face you once loved. A dermal filler injection made of hyaluronic acid specifically designed to restore volume loss - hence the name voluma. Created by Allergan - the makers of Botox - this filler injection is versatile in its roles including but not exclusive to adding definition, sculpting cheekbone contours, enhancing jawlines, correcting weak chin areas, restoring volume to vital face map areas such as the midface and lower segments of the whole face that have become saggy and hollow sections as as you enter your 30s onwards. The lift Juvederm voluma provides can differ but a guideline of approx can be up to 18 months. Depending on areas injected differ the effectiveness of results as all filler based injections which are commonly used to treat a vast array of areas including tear trough eye area, smokers line areas, nasolabial folds, smile lines, lip areas, nose reshaping and jowls which have various efficiency timespans.